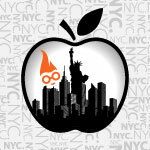 We’re proud to be a sponsor at Space Apps Challenge NYC but we’re even more excited to be giving away nearly $4,000.00 in cash and prizes to hackers who incorporate one or more of our APIs at the hackathon! Over 200 developers in person (and hundreds more online internationally) are scheduled to participate and collaborate to tackle challenges relevant to improving life on earth. How awesome is that? The team with the most creative use of our APIs will be featured on SparkPost.com’s blog and socially (where your colleagues will be green with envy and shower you with accolades). 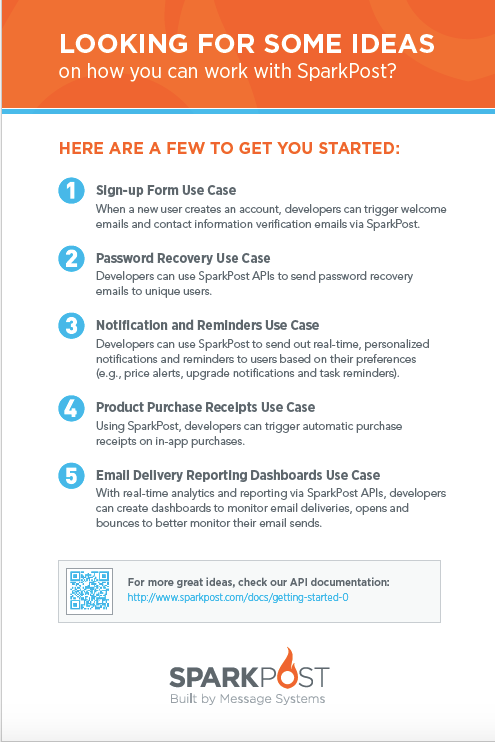 To help you, here are some example use-cases for incorporating SparkPost’s powerful email delivery APIs into your app and you can also download to bring with you.